Published on Tuesday, July 14, 2015. 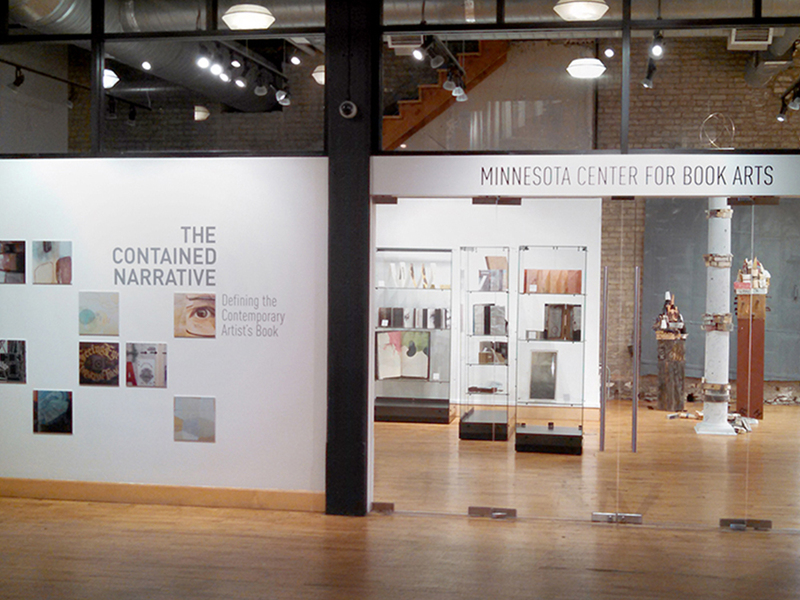 In addition to exhibiting the most talented book artists from around the world, the Minnesota Center for Book Arts (MCBA) is also known for hosting innovative workshops and an invaluable workspace for novices and professionals alike. With all they have to offer the Twin Cities, as well as the larger contemporary arts community, it's no surprise the MCBA is celebrating its 30th anniversary this year. MCBA is recognized as being the largest and most comprehensive center of its kind, serving upwards of 70,000 visitors each year. What has contributed to MCBA’s success over the past 30 years? MCBA’s success can be attributed to two factors. First, the organization has a tremendous community. MCBA is privileged to have incredibly talented artists working and teaching in its studios and exhibiting in its galleries. 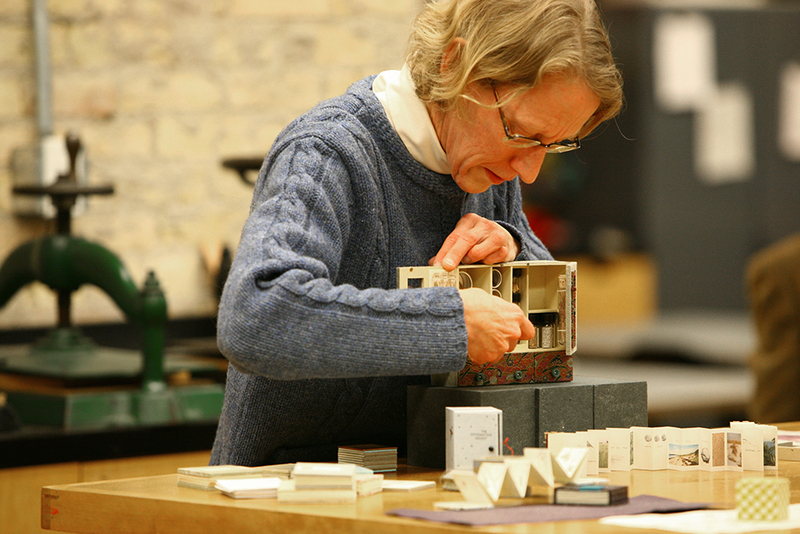 On any given day you might find members of our artists’ co-op, core faculty artist instructors, artists-in-residence, or fellowship program participants working in our space. The thing that is great is that all of these individuals are willing to share their talents freely in an environment that really facilitates creativity. We have an institutional culture that could be characterized as “welcoming” and we strive to offer a variety of entry points for artists and appreciators of all ages. The second factor is the organization’s dynamic vision. From the beginning, MCBA’s founders embraced artists using both traditional and contemporary techniques. The book as an art form has evolved, just as painting and sculpture have changed. MCBA has been successful because we acknowledge this and encourage experimentation and investigation. We do not shy away from technology or new ways of creating. While we are dedicated to preserving historical methods, we challenge artists to use those traditional techniques to communicate content that is relevant to today’s audiences. You’ve been involved with MCBA in some capacity for over 15 years, first as an artist-in-residence and instructor, then as artistic director and, since 2010, as the executive director. What are a few memorable moments, thus far, from your time at MCBA? Yes, I started as a papermaking artist-in-residence after graduating with an MFA in printmaking from the University of Minnesota. I fell in love with MCBA and the organization’s mission. As an artist-in-residence I had the opportunity to work on a couple of MCBA’s Winter Books – the organization’s annual signature publication. Each Winter Book involves a community of printers, papermakers, illustrators, designers, binders, writers, and poets coming together to create a beautiful handmade edition. I was working in the paper studio doing color samples for the 2001 Winter Book on September 11. I needed to match this very particular sky blue and it was taking a lot of time to find the correct ratio of pigments. There was a TV on in the lobby showing the news. Watching the coverage, and trying to re-create the color of a bright blue sky while those events unfolded is something I will never forget. Since then, I have had many memorable moments, including curating an exhibition with the late Rosemary Furtak who built the Walker Art Center’s amazing artists’ books collection, working with a children’s group to create a large handmade paper mosaic for a Nobel Prize peace celebration, and presenting the first MCBA Prize – the only international artists’ book award to date – in 2009. The award presentation is memorable not only because I was happy for the winner and proud of our organization, but also because I forgot to bring the envelope containing the winner’s name to the podium. The theme of the fourth Book Art Biennial is The Contained Narrative: Defining the Contemporary Artist’s Book. 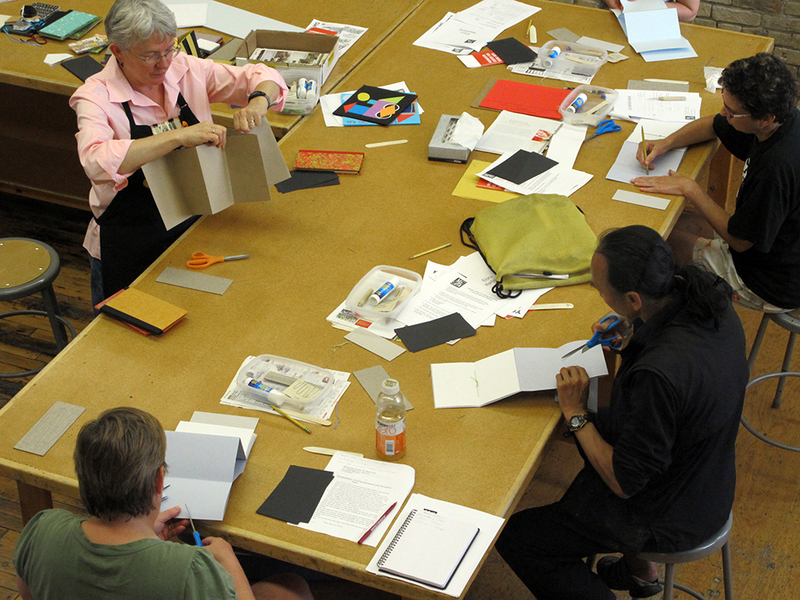 How does MCBA define a contemporary artist book? How have artists’ books evolved, especially in the past 30 years? At the most fundamental level, a book is a contained narrative. The container that holds the content may be two covers connected by a spine on a traditional codex, a wrapper around a deck of cards, a box holding loose elements, a digital device, or even the walls of a room. In each of these, the message of the artist, the narrative, is expressed within a finite space. “Narrative” refers to content expressed sequentially. Much like films, books are time-based experiences. As readers, we are manipulated by the artist who controls pacing, recognition, associations, and comprehension through a multitude of methods. Images may be repeated, page configurations may change, text may be obscured, information may be hidden and revealed, and we may be required to physically engage with a work beyond the simple act of turning a page. I am often asked if I worry about the death of books: if I am concerned that blogs will replace independent publishing or if I fear that finely crafted editions are no longer relevant. I worry about a lot of things, but not this. What has changed is that some communications traditionally facilitated through books have moved to other means of delivery. A phone book is no longer necessary and the experience of reading pulp fiction on a Kindle is not that different from reading it from a cheaply produced paperback. But the book as an art format endures and continues to evolve. Rather than simple substrates for text, contemporary artists’ books take many shapes and serve many different functions. A book can act as a metaphor, become an environment, function as a component of a performance, or even become a structure as big as a building. Fine press works will continue to reinforce literary content for readers through the careful selection of physical materials and visual elements. Many of those who publish via the web also distribute physical books because printed materials simply have a longer life. A digital file is useless if it cannot be converted to a readable format in the future. You recently traveled to Egypt to copresent a book arts workshop at the Alexandria Library alongside other book artists. How does the work of MCBA and its member artists relate to that of Egyptian book artists? In April and May of 2015, Diane Katsiaficus from the University of Minnesota and I had the opportunity to begin an ongoing exchange with a group of Egyptian artists at the Alexandria Library. This was made possible by the Imagine Fund grant program. Initiating such a partnership at the location of one of antiquity’s greatest lost libraries – and the current home to one of the world’s finest archives – was a unique and inspiring experience. 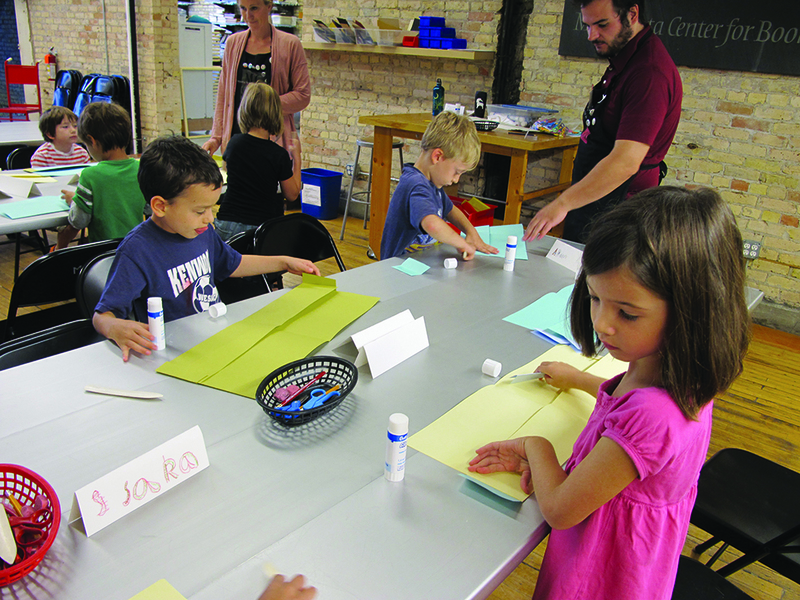 We found that whether an artist is working in Egypt or if they are creating in Minnesota, their primary concern is communication. After all, that is what art is. Too often people talk at each other rather than engage in conversations. The latter requires listening. For this first trip to Egypt, Diane and I set out with a goal of simply listening. In particular, “listening” to the artists’ visual narratives. We will be pairing Minnesota artists with their peers in Egypt to continue this dialogue. I am confident that the foundation we have established with colleagues in Egypt will serve as a firm base for future collaborations. Now, more than ever, it is critical that artists participate in grass roots diplomacy by creatively promoting communication, understanding, and community between nations and cultures. What are you looking forward to – in addition to the fourth biennial – at MCBA? 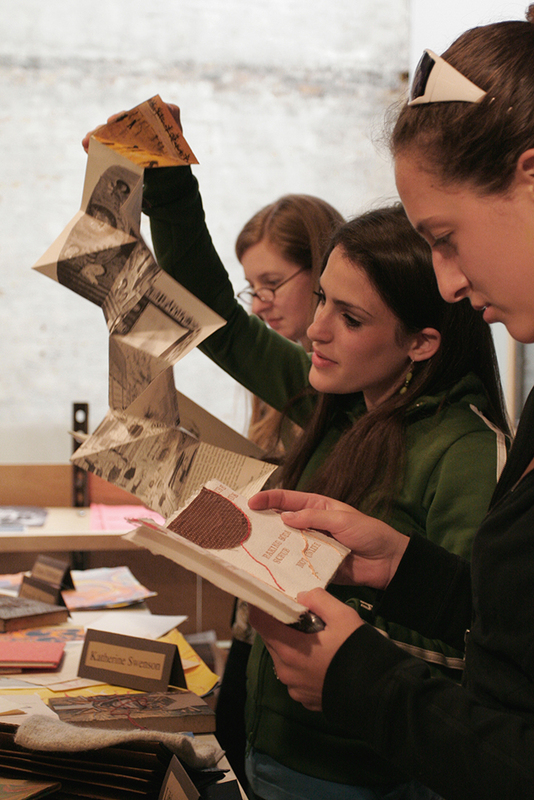 We have a lot in store after the Book Art Biennial! On August 14, “Parts of a Whole III: New Work from MCBA’s Artist Community” will open in our galleries. This is always a great exhibition that features the work of MCBA’s diverse artist community. 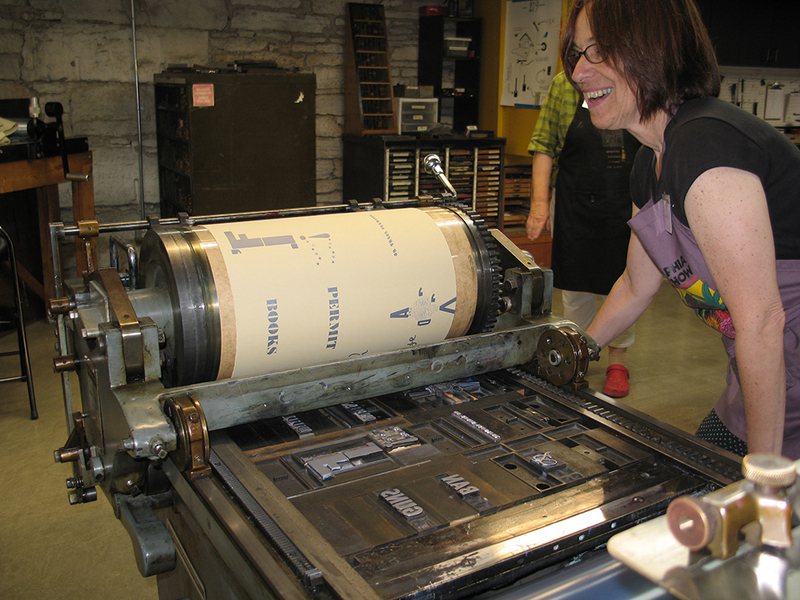 A breadth of innovative approaches, creative skills, and styles will be demonstrated through artists’ books, broadsides, prints, installation work, and more. MCBA’s artist co-op will host a series of coordinated roundtable discussions on August 25, September 15, and October 20. For those who want a unique shopping experience, join us for “Love Local,” MCBA’s annual Book Arts Festival and Holiday Sale on November 14. 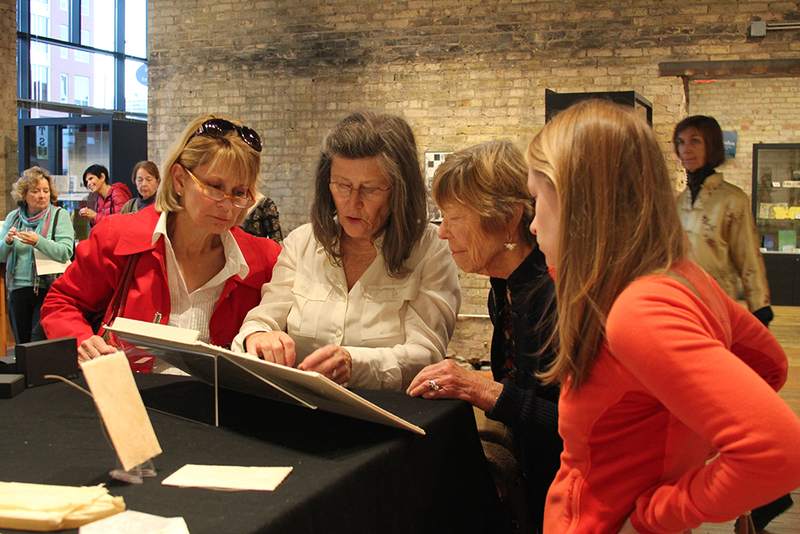 “Love Local,” celebrates the rich craft traditions of the Twin Cities and surrounding areas. Dozens of local and regional artists will be featured, selling handmade paper, artist’s books, blank journals, prints, posters, calendars, woodcraft, pottery, needlecrafts, and all manner of gift items. 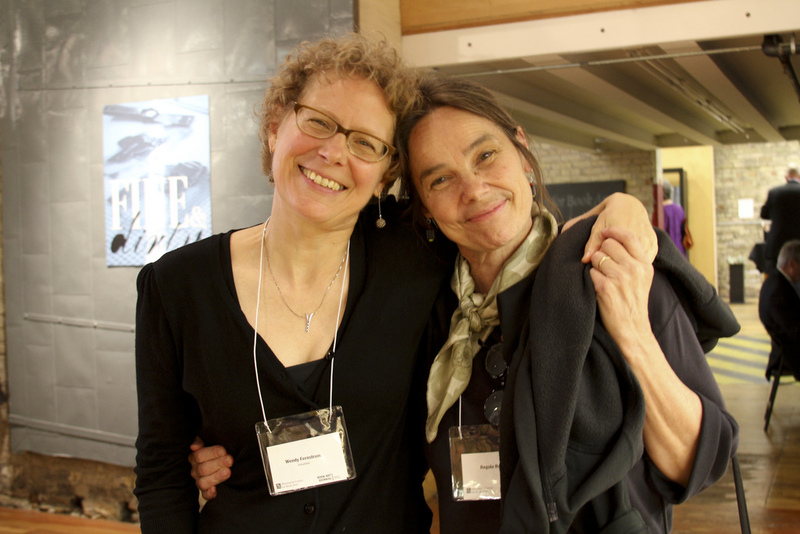 On December 12, MCBA will host a free publication party for its 25th Winter Book. This is always a wonderful event, complete with a party and reading. Details about the book are still under wraps, so I cannot go into particulars, but I encourage folks to save the date on their calendar. I can assure all that the 25th Winter Book will truly be a celebration of craft and end a year of celebrating our 30th Anniversary with a bang! Not able to make it to the Twin Cities this summer? Check out the amazing works by MCBA Prize finalists and entries online.